When To Upgrade Home Electrical Panel? 1. Do I need to update my home’s electrical system? Lights dim whenever you turn on an appliance. The electrical panel feels hot to the touch, or there’s evidence of heat warping or fire. This is extremely dangerous. If you reset a breaker after it trips, it won’t stay reset, or power isn’t restored. You have any of these brands of faulty, dangerous and recalled electrical panels: GTE/Sylvania, Federal Pacific, I-T-E Pushmatic or Zinsco. Your home is 25 years old (or older). Your electricity needs have changed (you’ve added rooms, a home office or a workshop, or installed major appliances). 2. Why do older homes need electrical system updates? The biggest reason, of course, is your family’s safety. If your home was built in, say, the 1960’s, imagine the kind of electrical demands the average family had in those days compared with today. The electrical systems in older homes may only be designed to carry 30-60 amps for the whole family’s electrical needs. There may not be enough circuits or enough power to safely fulfill 21st Century electrical demands, and that strain on the system can cause potentially dangerous problems. Consider this: one circuit on your home’s electrical panel manages power going to all the outlets linked up by that one circuit breaker. Circuits are designed to turn off if the wire delivering the electricity becomes overloaded. Classic example: You can’t use your toaster and your microwave at the same time, so suddenly, all the power in the kitchen goes out. The circuit breaker trips, cutting the power to protect that circuit from overheating and catching fire. In many older homes with older electrical systems, however, circuit breakers may not trip, even if the circuit is truly overloaded. There might be a loose connection in the circuit somewhere. You can see why this can create safety and fire hazards! Worse still, if a homeowner goes “DIY” by just installing a larger circuit breaker, he or she may inadvertently increase the danger! The new circuit breaker may not match what that wire is able to safely manage, causing overload and systemic electrical fire danger. Needless to say, this is why you should never DIY electrical jobs around the house. Your residential electrician will be able to diagnose the real issue behind your constant circuit breaker trips or hot electrical panel and replace or repair the components necessary to keep your home and family safe. 3. What’s the lifespan on a typical home electrical panel? Well-maintained, non-recalled brands of electrical panels can last between 25-40 years, with some caveats. If you notice any of the trouble signs above (lights flickering, breakers frequently tripping, heat on the panel, or the panel is one of the recalled brands), your electrical panel may need to be replaced much earlier. Also, if you’re adding major appliances (new refrigerator, air conditioner or hot tub), extra rooms, a workshop or a home office, you may also need to make an electrical system upgrade to handle the extra electrical demand safely. 4. What benefits can I expect from having my home’s electrical system upgraded? Increased safety, as well as more efficient usage of electricity in your home are the two biggest benefits. Also consider that it will increase your home’s resale value if you’ve had this work done before it goes on the market. 5. Can I DIY a home electrical panel upgrade? No. For your own safety, as well as that of your home and family, never try this without a licensed residential electrician. DIY wiring will likely not be up to code and can overlook common dangers that can cause fires and electrical shock. Your home insurance company may not approve, nor may potential buyers if you’re trying to sell your home. Your home electrical system is simply an area where you cannot skimp or cut corners and still be safe. 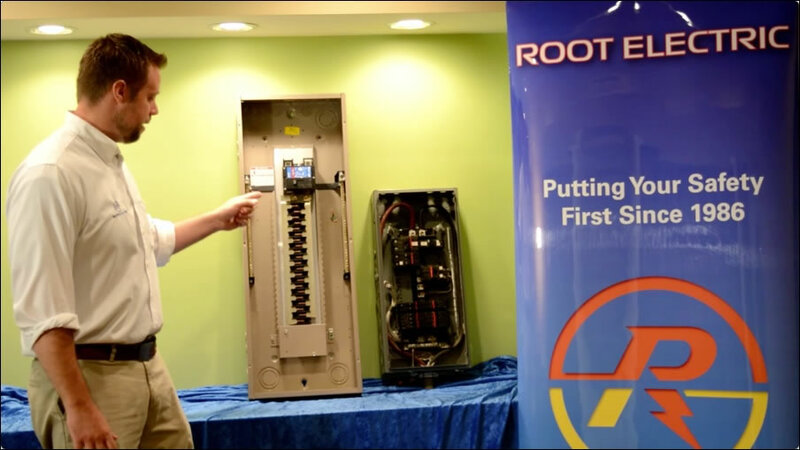 If you have questions or concerns about your home’s electrical system, don’t wait and don’t try to do anything on your own—contact Root Electric’s licensed residential electricians in Northern Virginia for assistance: (703) 494-3989.